This kit enhances the PLTW GTT Kit for schools that want to build a robot to compete in the VEX Robotics Competition. Includes a VEXnet Joystick that allows for driver control. Includes extra motors to use for robot mechanisms. 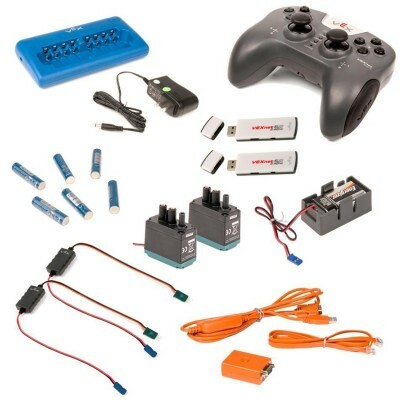 Included Programming Hardware Kit allows for wireless programming and debugging. (1)8-Bay AA/AAA Smart Battery Charger.